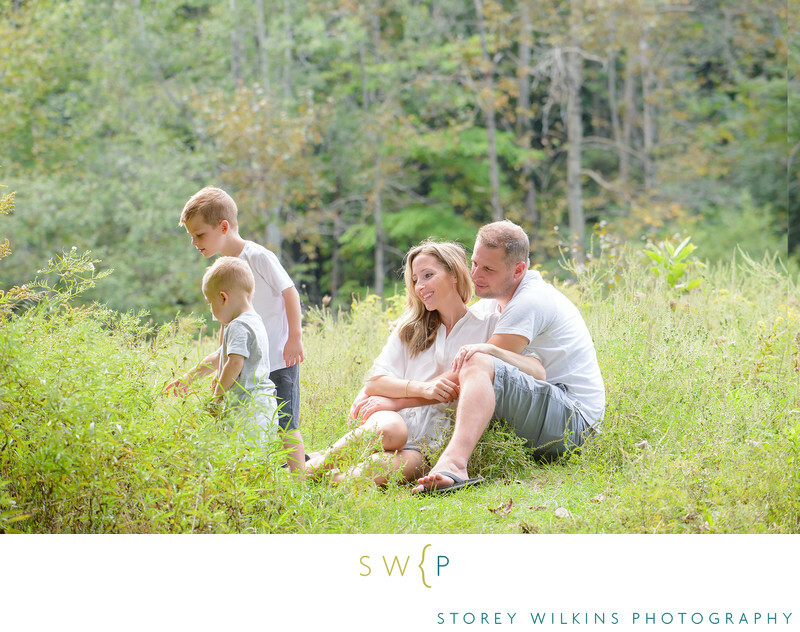 Family Portrait in a Stouffville Meadow by Storey Wilkins Photography. Often times a less crowded more remote park is a better option for family portraits so that your family can be in and among the natural surroundings without too many other people and pet distractions. This unique conservation area is off the beaten path but worked very well for our late summer session. Location: Stouffville Conservation Area 3329 Aurora Rd, Newmarket, ON L3Y 4W1.